Our newborn care class covers everything you need to know about the first 12 weeks with your new baby. We will discuss routine hospital procedures, testing, initial vaccinations, breastfeeding, postpartum care, bathing, carseat safety, safe infant sleep and more. This class is designed for the cloth diaper curious as well as the cloth diaper veteran who is looking for some hands on tips and tricks. Are you wondering about how to get started with cloth diapers? Are you having trouble with or not sure how to care for your cloth diaper stash? 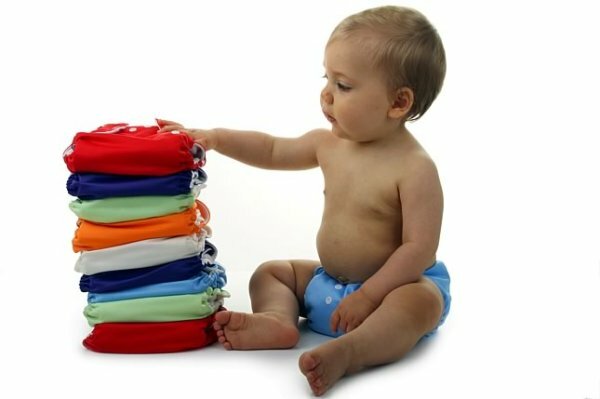 Come take a look at several different brands and styles of cloth diapers and learn the basic care for your ‘fluff’. Everything you need to successfully cloth diaper your new baby! Try out MANY different styles and brands for diapers and accessiories before you invest in your own stash! The Work Share Program is a great way for a work at home or stay at home parent to get uninterrupted time in a workspace. We provide free WIFI and a workstation in our yoga studio and supervised play time for your children in our playroom. Due to limited space please make reservations or call us at 775-825-0800. Learn all about wearing your baby in this fun, relaxed, and informative class. wraps and slings to help you find which style best suits you. 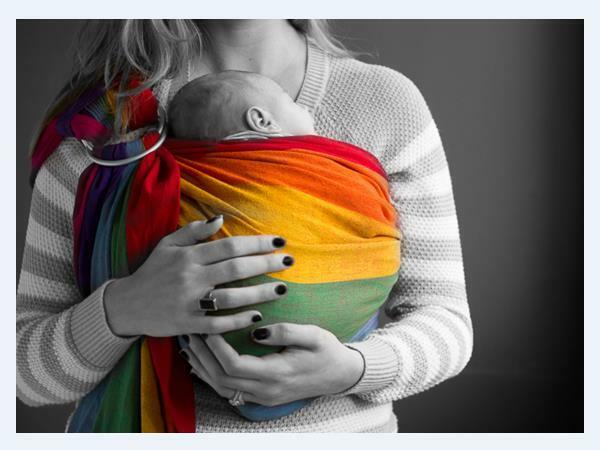 You will leave with confidence and skills to safely, comfortably and easily wear your baby. Rent a variety of carriers, wraps, slings and accessories to help you find your favorite! If you buy a carrier when you return the rental, the $15 will be applied to your purchase! Promote bonding. Ease digestion. Build body awareness. Boost immune system. Learn the skills to safely and confidently massage your baby and build a touch-positive household while meeting other new parents. Whether you are pumping to return to work or just to have a supply of frozen milk, knowing about proper pumping and storage techniques is helpful to your peace of mind. This class will cover maximizing your pumping time, hand expression, milk storage guidelines, and how returning to work may affect your breastfeeding relationship. This class is great for expecting mothers and their partners, as well as the mom whose baby is older. If you are looking for alternatives to commercial baby food, this class is for you! complicated and work intensive chore, but it doesn’t have to be! This class covers several different philosophies of introducing foods and allows a family to find the right start for them and their babies. Discover and experience the 10 Essential Oils that can keep your family healthy, learn the different grades of oils and which are the best to use, how to use them and walk away with natural alternatives to increase your energy, control mood, support your immune system and remedy everyday ailments. As always, oil classes are baby-friendly! Be an everyday oil user and pick up some snippets of wisdom on how to incorporate these effective essential oils into your life to improve the health and happiness of your family! Essential Oils can improve and resolve many ailments safely, without side effects and are often less expensive than conventional medicine. Bring a friend and be sure to take home a sample! In this course designed for toddlers (1 year and up), you will learn over 100 signs to use with your child. In a playful, educational and language-rich environment, caregivers and children will build their American Sign Language (ASL) vocabulary through instruction, interactive games and songs. This curriculum is based on current research that shows the benefits of early music by stimulating brain and cognitive development. Using a building block approach that starts with babies, then toddlers, moving onto preschoolers and culminating in group piano instruction. 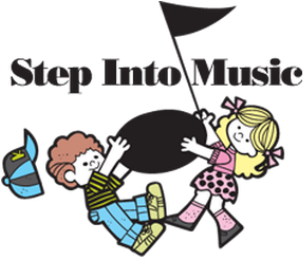 We aim to give children a wonderful musical start and to encourage a lifetime of musical enjoyment. Children experience success with music each week and know the fun of making music with others. Just a few minutes a week can give your child a lifetime of learning! Weekly Group Music classes from 4 months to 5 years. Keyboard and Guitar Lessons available too!